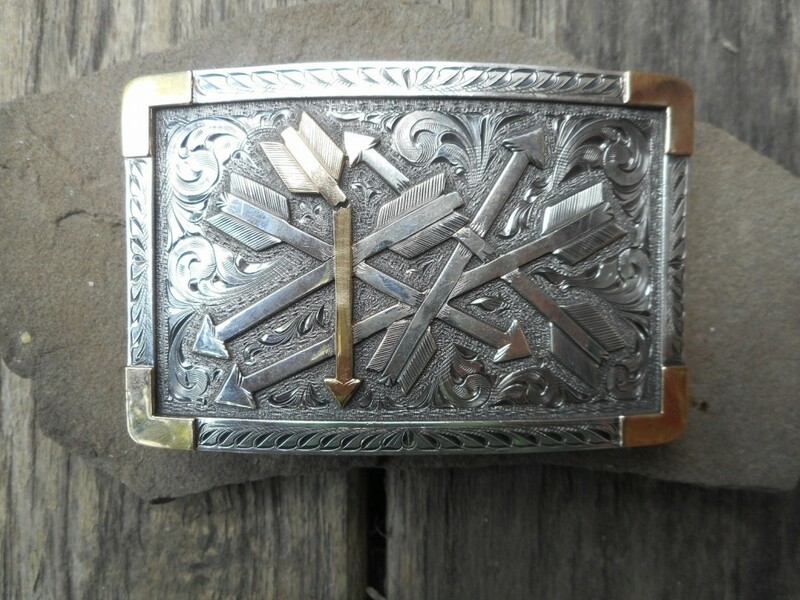 Beautifully engraved buckle with arrow overlays in 14K gold and sterling silver. Border is 14K gold and engraved sterling. Measures 3.5" x 2.3'. Fits a 1.5" belt. Limited Edition of 500. Size: 3.5" x 2.3". Fits a 1.5 " belt.